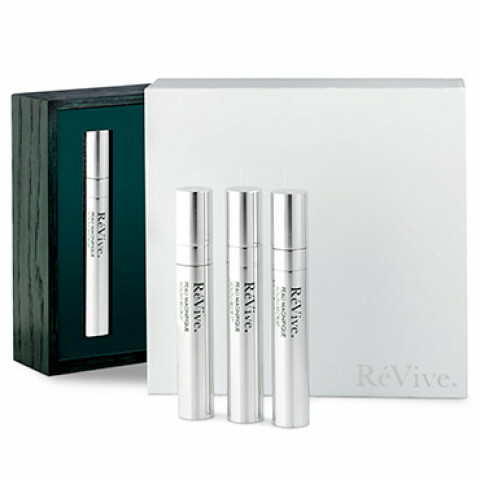 This powerful skin-transforming treatment helps slow the visible signs of aging with a blend of "youth-recruiting" ingredients that provide dramatic results in just four weeks or less of targeted applications. This potent complex strengthens skin to help repair the appearance of lines and wrinkles while reversing the look of crepey, fragile skin for a firmer more youthful appearance. A dramatic increase in skin cell renewal reveals brighter skin, with smoother tone and texture, reduced redness due to dry skin, and an immediate glow. You'll see firmer, younger-looking skin, with a visible reduction in the appearance of lines and wrinkles. Give your skin the legendary ReVive glow-now and in the future.